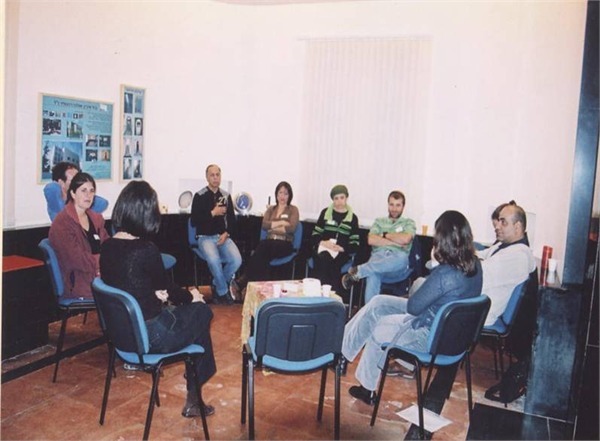 ICA runs a wide variety of support groups throughout Israel in various ICA branches and Support Centers, in collaboration with additional entities. Some of the support groups hold meetings on a regular basis and some open based on demand and need of patients and their families. Sometimes physicians and nurses who have been trained to do so. Anger, loss, denial, depression, guilt and hope, dependency and loneliness. Fear of death, fear of pain and side effects. The relationship between partners and sexuality. A support group for patients coping with various cancer diseases. A support group for young women coping with female cancers. A support group for parents of children of school age who have cancer. A support group for families of cancer patients. A support group for those coping with loss and bereavement. "Getting in touch with your Heart". Nutrition and healthy lifestyle workshops. A special belly dancing workshop was also held over the summer. In addition to the existing workshops, the center also hosts activities that focus on the body-mind connection, such as yoga, feldenkrais, chi kong and pilates. Monthly lectures are delivered on various topics and trips to different sites in Israel are offered. This year there were trips to the Dead Sea, the Jerusalem area and Gush Etzion, as well as Acre and the surrounding areas. Help fund welfare activities - US$ 5,000 per activity p.a. or fund the operating costs of a support group - US$ 16,200 p.a. Kindly contact us, should you wish to contribute to this project. Please note that all donations received are transferred in full (no overhead is taken).